This cell contains inspiration from the Celtic tradition. "The rule of silence must be diligently observed, for it is written: "The service of justice shall be quietness and peace." All superfluity of words must be avoided; except in cases of necessity or utility, the monk must be silent, because, according to the Scripture, "in the multitude of words there shall not want sin." Hence our Savior says: "By thy words thou shalt be justified, and by thy words thou shalt be condemned." Justly indeed shall they be condemned who would not, though able, speak just words, but preferred in their garrulousness to speak wicked, unjust, ungodly, vain, injurious, double-meaning, false, quarrelsome, abusive, shameful, absurd, blasphemous, harsh, and crooked words. These and such like words must never pass the lips of the monk, whose tongue must ever be governed by prudence and right reason, lest by his talkativeness he be betrayed into detractions and contradictions born of pride." "The monk shall live in a monastery under the rule of one father and in the company of many brethren, in order that he may learn humility from one, patience from another. One will teach him silence, another meekness. He shall not do what pleases him; he shall eat what is set before him, clothe himself with what is given him, do the work assigned to him, be subject to a superior whom he does not like. He shall go to bed so tired that he may fall asleep while going, and rise before he has had sufficient rest. If he suffers ill-usage, he shall be silent; he shall fear the head of the monastery as a master, and love him as a father, being ever convinced that what he commands is profitable to him; nor shall he criticize the words of the elders because it is his duty to obey and to do what he is bidden, as Moses says: "Attend, and hear, oh Israel." "
Is it not by divine order and in answer to a divine call that a hermit finds himself in a particular retreat? If the hermit doubts the Master on this point is he not failing to place all his trust in Him? It is not at all necessary to achieve contentment and the ability to accept the choices God makes by coming the long way round through doubt and questioning. If our Saviour has chosen us, led us, guarded us until we end up in solitude in a certain place can we then question whether he knows what he is doing? He who is omniscience itself and uncreated Wisdom! Now then let us do all with a good heart and live well and in peace wherever He puts us. 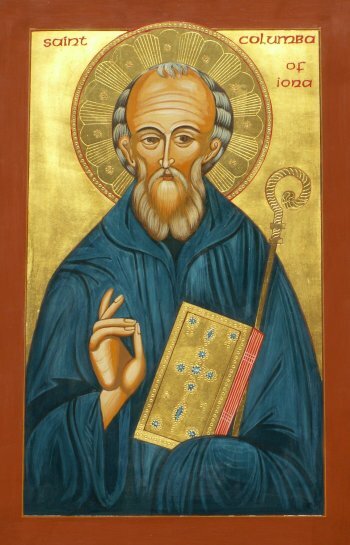 Let us never forget the Golden Rule: “Any and everything we do has value only in so far as it conforms to the all-Holy will of God.” this divine will is always revealed to the hermit through his rule of life, through his prayer and ascesis and the work of his hands, through the words of his elder and the holy practices and customs of monasticism and through the things that happen to him by the operation of Divine Providence in the daily course of his existence. May you recognize in your life the presence, power, and light of your soul. May you realize that you are never alone; that your soul in its brightness and belonging connects you intimately with the rhythm of the universe. May you have respect for your own individuality and difference. May you realize that the shape of your soul is unique, that you have a special destiny here that behind the facade of your life there is something beautiful, good and eternal happening. May you learn to see yourself with the same delight, pride and expectation with which God sees you in every moment. Fr John O'Donohue - "Anam Cara"
Whatsoever little or much you possess of anything, whether clothing, or food, or drink, let it be at the command of the senior and at his disposal, for it is not befitting a religious to have any distinction of property with his own free brother. Let a fast place, with one door, enclose you. A few religious men to converse with you of God and his Testament; to visit you on days of solemnity; to strengthen you in the Testaments of God, and the narratives of the Scriptures. A person too who would talk with you in idle words, or of the world; or who murmurs at what he cannot remedy or prevent, but who would distress you more should he be a tattler between friends and foes, you shal not admit him to you, but at once give him your benediction should he deserve it. Let your servant be a discreet, religious, not tale-telling man, who is to attend continually on you, with moderate labour of course, but always ready. Fervour in singing the office for the dead, as if every faithful dead was a particular friend of yours. Let your vigils be constant from eve to eve, under the direction of another person. The work to be divided into three parts, viz., your own work, and the work of your place, as regards its real wants; secondly, your share of the brethen’s [work]; lastly, to help the neighbours, viz., by instruction or writing, or sewing garments, or whatever labour they may be in want of, ut Dominus ait, “Non apparebis ante Me vacuus [as the Lord says, "You shall not appear before me empty."]. Take not of food till you art hungry. Sleep not till you feel desire. Every increase which comes to you in lawful meals, or in wearing apparel, give it for pity to the brethren that want it, or to the poor in like manner. Or your measure of your work of labour, or of genuflexions, until your perspiration often comes, if your tears are not free.